The autumn has definitely arrived and the English countryside is turning shades of reds and golds. My knitting, without conscious intention, is following suit. 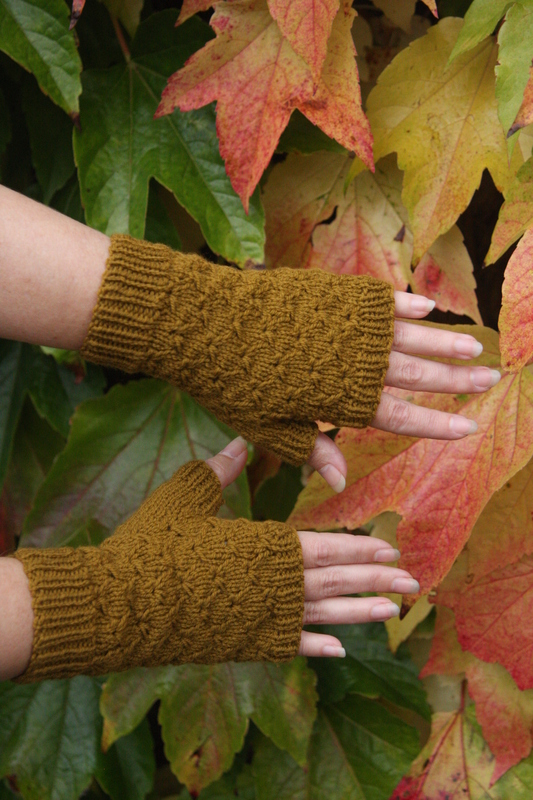 I knit these beautiful mitts this week using Quince & Co Chickadee yarn in the colour Honey. The pattern is called Antiquity and is designed by Alicia Plummer. 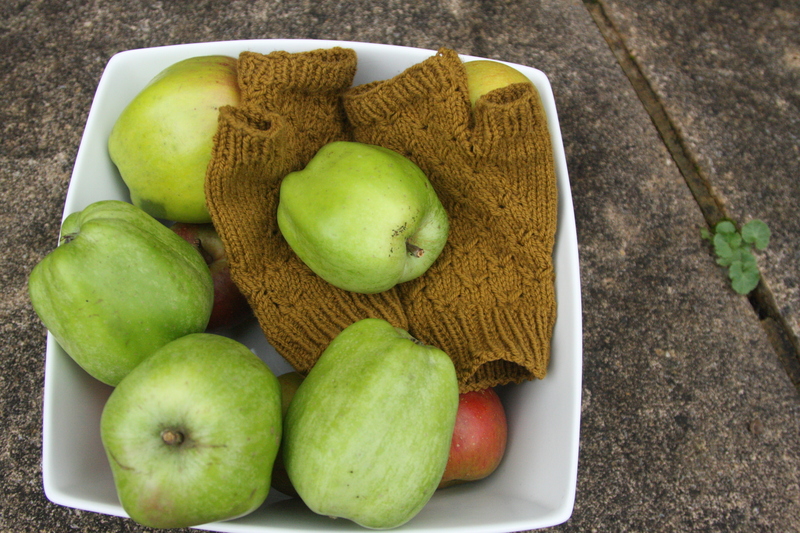 I didn’t like the colour when I first bought this yarn (ordered online) but now I think it is luscious – particularly juxtaposed with autumn’s bounty. There is a small orchard near our house, which I think is mostly a hobby for its apple-enthusiast owner. He grows dozens of varieties of apples, most of which I’ve never heard of; over a period of four months a different variety reaches its peak every week or two. Doug and I go there every week through the autumn and try them all. These are called Catshead apples and they are a very old variety, dating from the 1600s. I’m not sure what they taste like but they certainly look delicious with my mitts. This also shows the great fit. 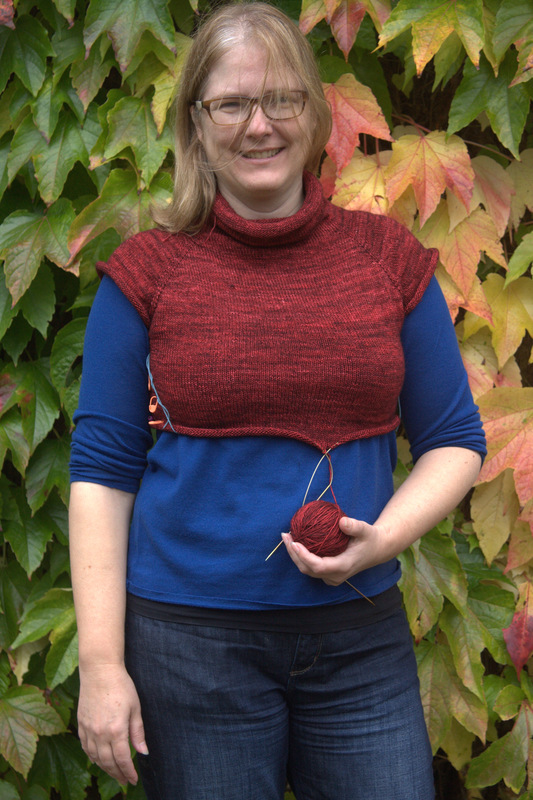 I am modifying the pattern to get an in-between size and I am quite happy with the results. Tart is such a lovely rich colour. 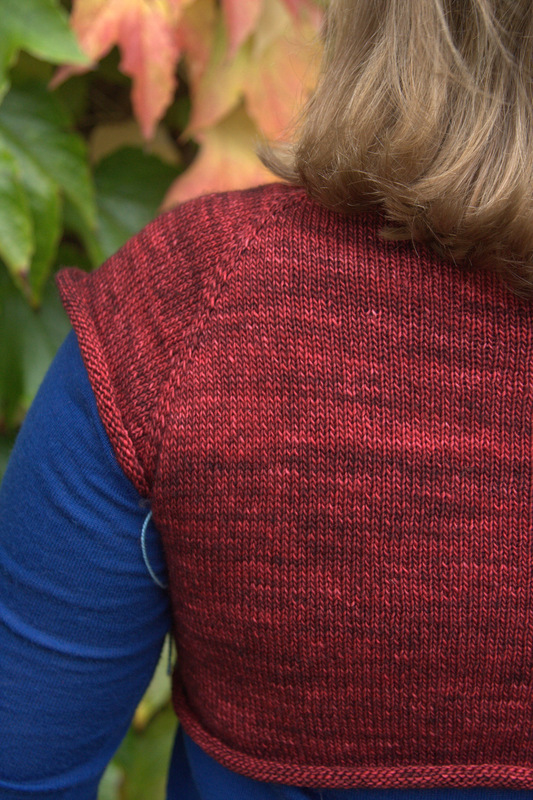 The simplicity of this pattern, basically just miles of stockinette stitch, allows the colour to shine. Amazing, isn’t it? It’s pure silk and practically luminescent. I can’t wait to see this adorning my Christmas table. I cast on another project this week, but since it’s grey and doesn’t fit the theme, you will have to wait to see it. Whatever your weather, enjoy the colours! This entry was posted in Finished Project, Main and tagged Alicia Plummer, Antiquity mitts, Hannah Fettig, Knitting, Lightweight pullover, Madelinetosh Light, Quince & Co Chickadee by knitigatingcircumstances. Bookmark the permalink. Lovely knitting! Such jewel colours! Beautiful tablecloth! 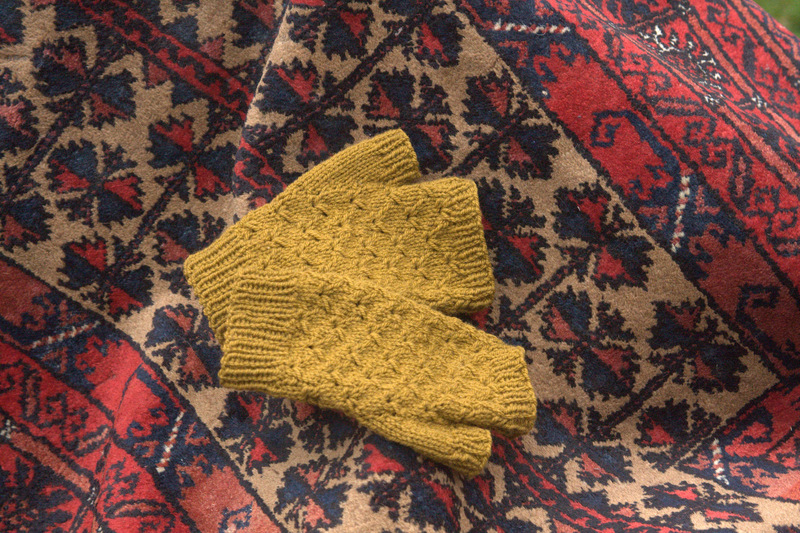 Lovely mitts, lovely Lightweight Pullover, and the table cloth and rug are exquisite! It always makes me happy to see another post from you. Wow, score on the carpet and tablecloth, what a guy! That tablecloth is just dreamy. I loved all the gorgeous colors in your post. 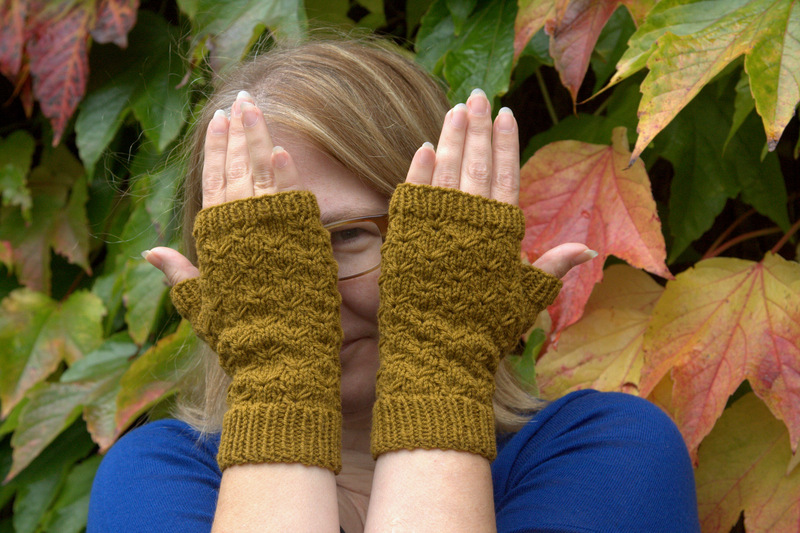 And your mitts turned out beautifully! Gorgeous colours – fall is my favorite time of year. 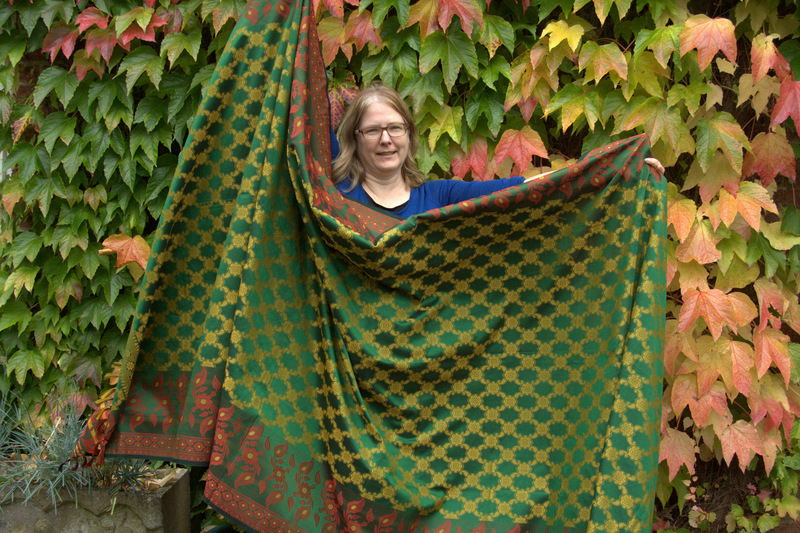 I love your post – the mitts, the tablecloth, the carpet – and of course the leaves as backdrop! You cast on a new project – you REBEL! Can’t wait to hear all about it!